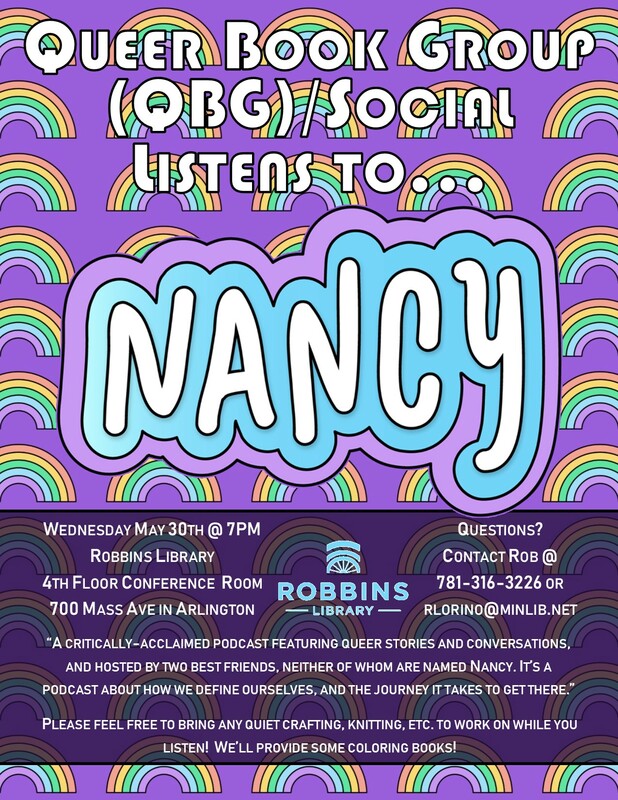 QBG/Social is listening to & discussing the podcast Nancy for our May meeting! Please feel free to bring any quiet crafting, knitting, etc. to work on while you listen! We’ll provide some coloring books! This entry was posted in Book group, LGBT, Programs, QBG, Queer Book Group and tagged nancy, podcast, QBG, Queer Book Group. Bookmark the permalink.